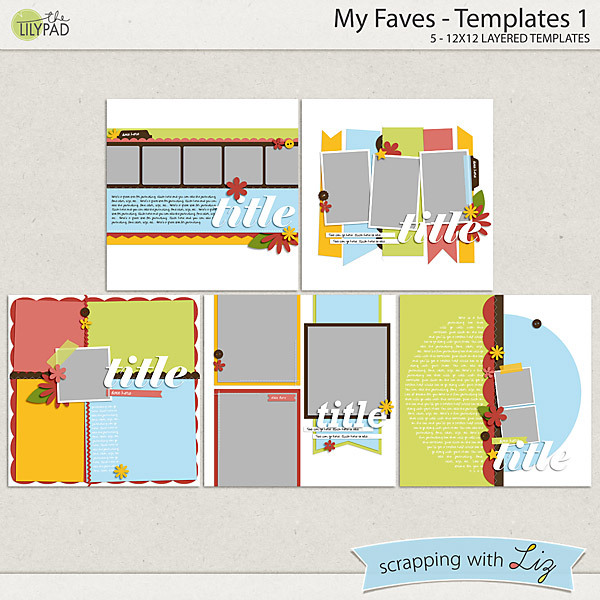 Liz has some fun new digital scrapbook collections in The Lilypad store. These aren't completely new. They are retired designs that Liz herself has used and are among her favorites. She has freshened them up a bit, reflective of the styles of today. Both sets have lots of variety, with small photos, large photos, just a bit of journaling, or large text blocks. These are on sale, 20% off, through February 19, 2017. 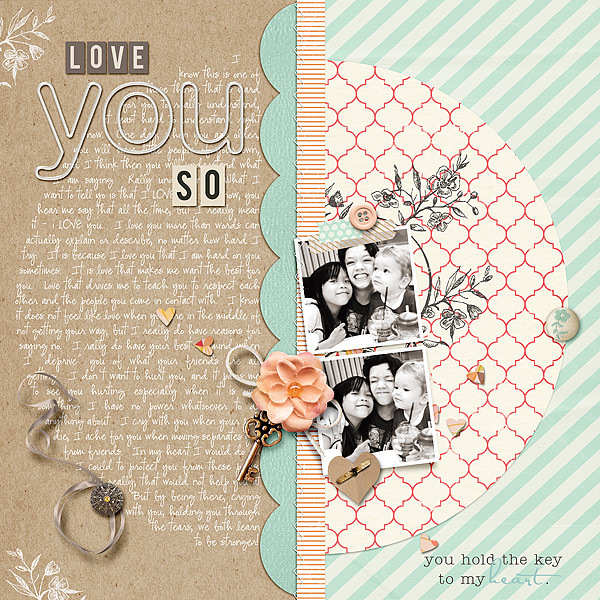 Erin Scrapped this lovely page with My Faves - Templates 1. 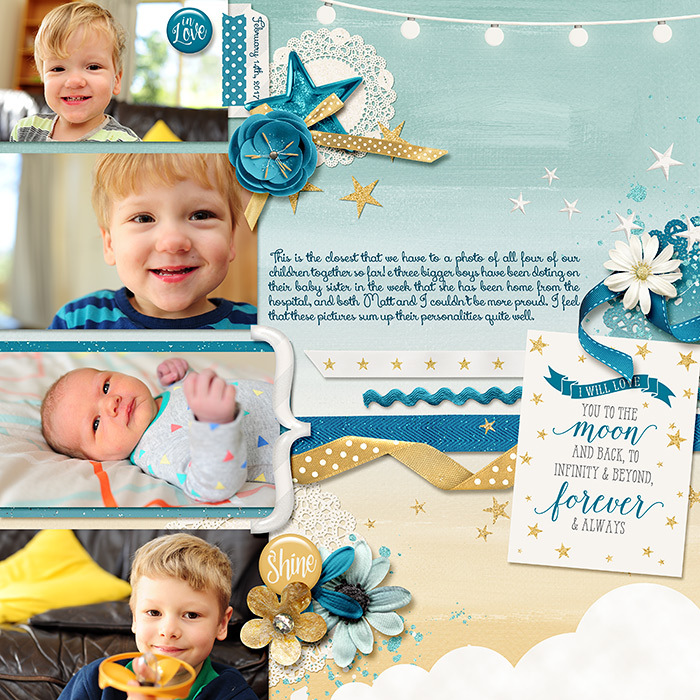 Rebecca scrapped this lovely little baby girl page with My Faves - Templates 1. 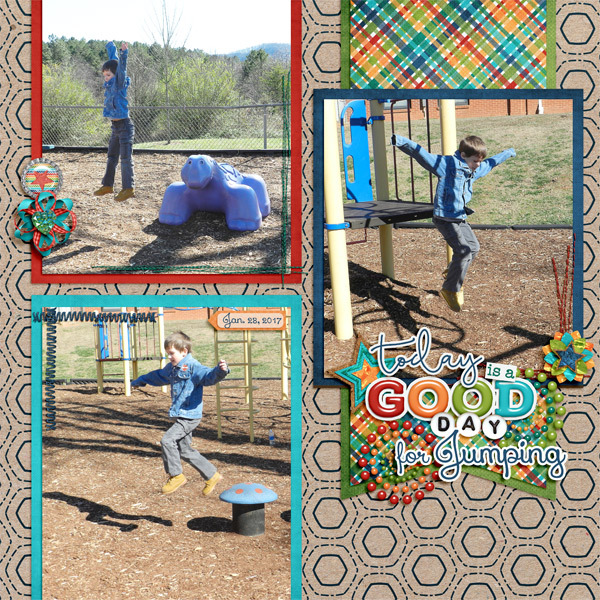 Christine scrapped some fun playground photo with My Faves - Templates 1. 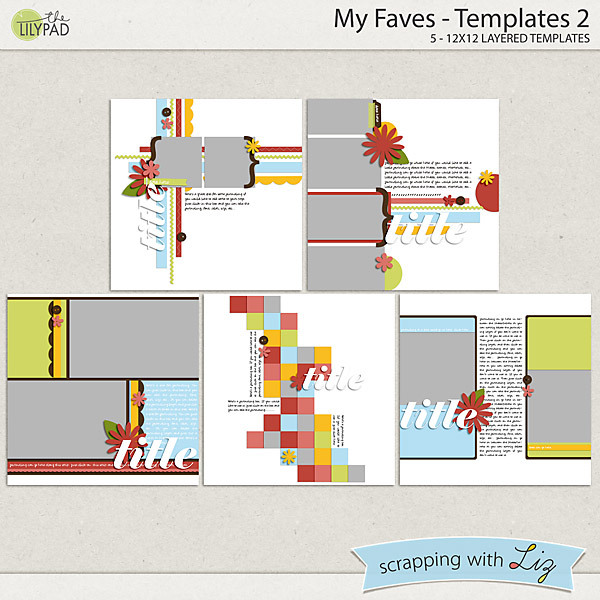 Rebecca scrapped her four kiddos with My Faves - Templates 2. Ellen scrapped this fun page with My Faves - Templates 2. Grab these classic templates now on sale!